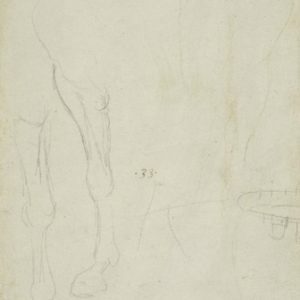 Studies of horses in motion; studies of St George and the Dragon; at top left is a cat stalking to the right with some notes above it. 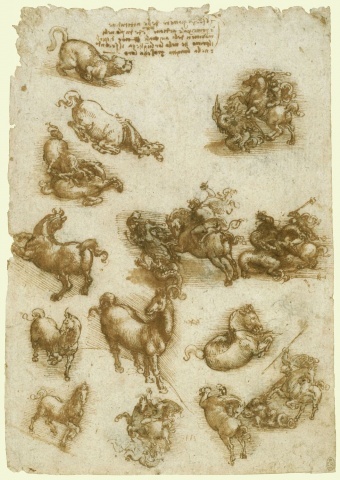 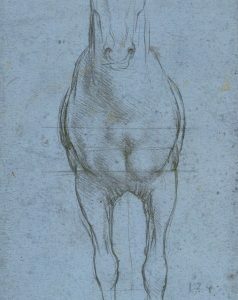 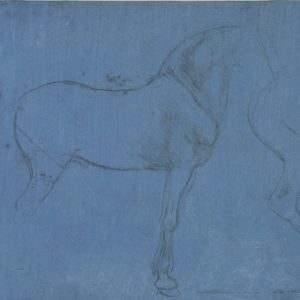 Leonardo’s interest in the movements of animals seems to have prompted this sheet of sketches. 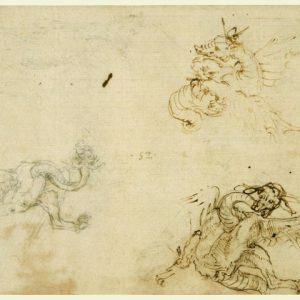 The twisting forms of the horses are emphasised by the coiling dragon in the studies of St George; in the note above Leonardo commented that ‘the serpent-like movement is the principal action in animals’.